Word Search Animals | Puzzle games | Donagames.com - free games for girls! The popular block smashing puzzle game returns with more action, more power-ups and more eye candy than ever before! 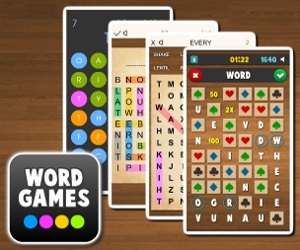 Popular puzzle game Legor is back with 50 brand new levels! In this new part you can't rotate the blocks as in all the other Legor games. Do you think it will make the game easier? Try to complete all the 50 levels then with the best score possible and submit your score to the global leaderboard to see who is the best! Crush and Count is a new educational game that combines 2 game genres - block collapsing puzzle game and educational Math game! Crush & Count will train your Math skills (addition and multiplication) in an original and mainly enjoyable way! Fun facts about dogs. How much do you know? Find out and post your score on the leaderboards, can you be number one? Think and type fast and guess the hidden animal in our game Word Search Animals! Tap on the letters shown on the screen to form a name of the animal. You must use all the letters. Complete as many rounds as you can in 2 minutes time limit and submit your score to see who is the best!